The mission of The GrownUp Project photographic series is to highlight the weight of childhood dreams and present-day realities by presenting subjects who appear as they’d once imagined themselves against the background of their modern lives. One day, The GrownUp Project hopes to include a foundation to support grants for qualified applicants that will provide financial assistance to their families while they seek mid-life re-education in pursuit of their dreams. Please visit TheGrownUpProject.org for updates and further information! 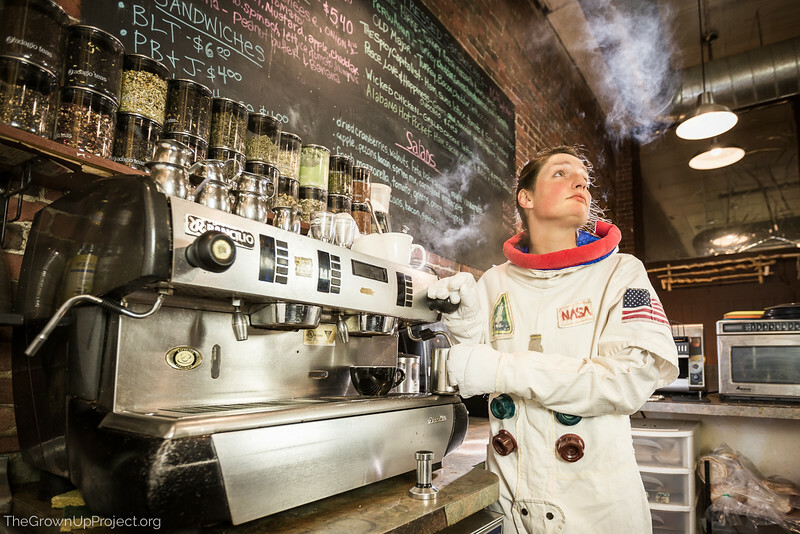 April is a barista who dreams of becoming an astronaut.